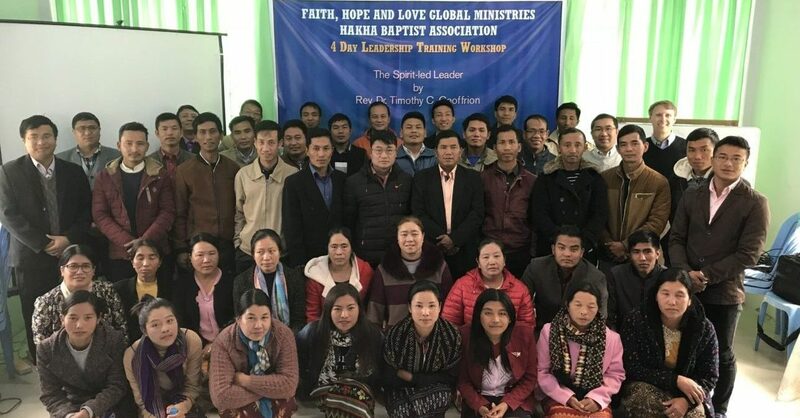 Faith, Hope, and Love Global Ministries’ staff teach, inspire, and encourage ministers and leaders in Myanmar and else where around the globe. We conduct short-term workshops, semester-long courses, and spiritual retreats, focusing on Spirit-led leadership, biblical teaching, and life-transforming spiritual practices, with the goal of equipping leaders to serve Christ more effectively. On these pages, you will find more information about the specific work of Faith, Hope, and Love Global Ministries, its founders, available media resources, books, teachings & sermons, reports from the field, and how you can contribute. Please contact us if you would like to discuss becoming more involved in building up the church around the world with us.